“My grandparents became mega-stars,” Michael Tilson Thomas remembers, “and found themselves smack in the public eye. Legions of crazed fans were obsessed with every detail of their work and their lives. 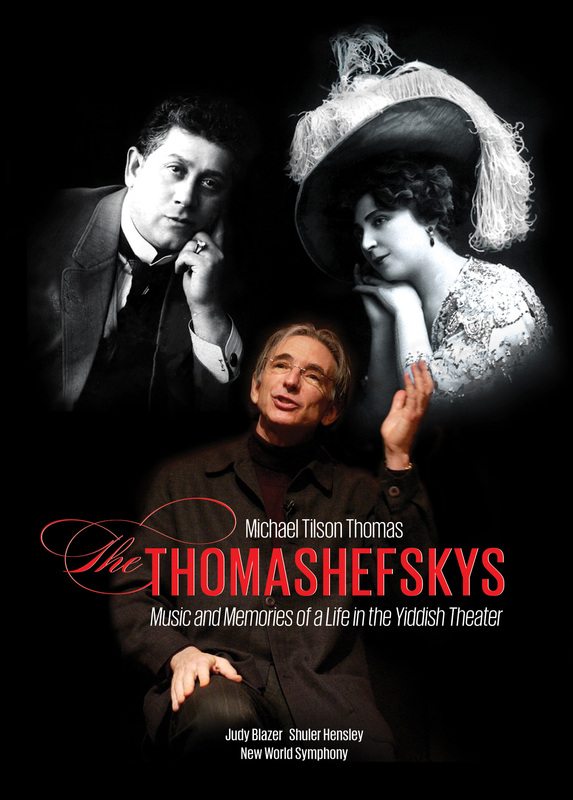 It was a far cry from the simple Jewish family life in the Ukrainian villages of their origin.” In THE THOMASHEFSKYS, Tilson Thomas explores the lives of his grandparents, Boris and Bessie Thomashefsky, through a musical performance that features five performers and the New World Symphony orchestra. Founding members of the Yiddish Theatre in America, the Thomashefskys owned theatres, published their own magazine, wrote columns in the popular Yiddish newspapers, sponsored and encouraged generations of young artists, brought countless Yiddish artists to America, tirelessly raised funds for progressive social causes and, through it all, were adventurous trendsetters. This story, reclaimed by Thomashefsky Project, presents a musical sound that few have heard, assimilating Eastern European klezmer and cantorial modes with American tones and rhythms. Over time, as the Jewish American music theater writers became absorbed in their new surroundings, they greatly influenced the American Songbook. All of this and more are captured in this stunning performance..